Worldwide leader in digital imaging and the world's largest image sensor manufacturer -Sony, has announced a new flagship model for their popular Cyber-shot RX100 series of compact cameras, the RX100 V (model DSC-RX100M5). A first for Sony's RX100 series of cameras, the new RX100 V model features a Fast Hybrid AF system that combines the respective advantages of focal-plane phase detection AF and contrast detection AF and ultimately enables the camera to lock focus in as little as 0.05 seconds. The exciting new camera brings a new level of AF performance and speed to today's compact camera market. It is equipped with a Fast Hybrid AF system with the world's fastest AF acquisition1 at 0.05 seconds2 and world's highest number of AF points on sensor1 with 315 points covering approximately 65% of the frame. The camera can also shoot continuously at speeds of up to 24 fps3 – the world's fastest for a compact camera1 – at full 20.1 MP (approx. effective) resolution with AF/AE tracking for up to 150 continuous shots4. 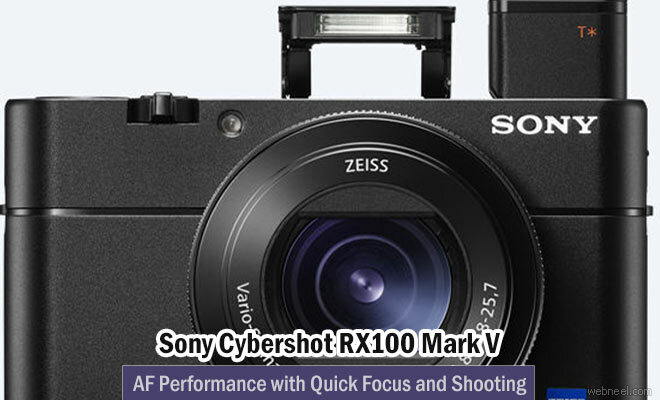 The RX100 V also has a high speed Anti-Distortion Shutter (maximum speed of 1/32000 second) that minimises the “rolling shutter” effect commonly experienced with fast moving subjects.Other advancements to AF performance on the new RX100 V include the addition of AF-A mode, which allows the camera to automatically switch between continuous and single-shot AF modes. Users can also manually select if they’d like the continuous AF and phase detection AF areas to be displayed live on screen while they are framing a shot.